It’s that time of the month again! If you’re new to Kawaling Pinoy, let me tell you what these monthly reports are about. Every month (since 2013! ), I hold a giveaway as my way of thanking you for your continued support of Kawaling Pinoy. Along with the giveaways, I also post a summary of how Kawaling Pinoy is doing in terms of traffic and income. From a simple weekend hobby, blogging has become a rewarding career for me and you can read more about my journey here. Since I started sharing these monthly income reports, I’ve received emails from readers asking me for tips about blogging and how to turn it into a full time career. My answers were mostly the generic “get a domain, make sure to self-host, focus on SEO, be active on social media”, and then I realized, there are only three points of advice that matter. First, just do it! Do it NOW! Don’t procrastinate. If you’re going to wait until you’re ready, it will never get done. 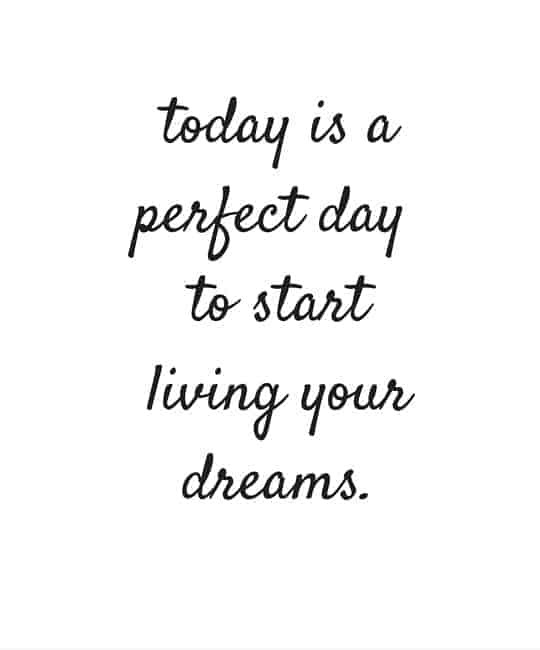 Whether it’s blogging, owning a business, finishing school, and whatever else you have on your bucket list, it’s just a daydream until you decide to make it your life. Second, blogging, or everything else in life for that matter, is not about doing things perfectly the first time. It’s about showing up and doing the grind day after day. It’s all about honing your craft and the continuous pursuit of learning. And lastly, blogging is a not a quick-rich scheme. I am, in many ways, fortunate that this blog I started primarily as a hobby flourished to a point where I could quit my regular job and do it full time. But my whole journey was not a quick walk in the park. It took three years of working long hours and vigorously churning content before I could do the full leap. And the honest truth is, I enjoyed working on Kawaling Pinoy just as much as when it was making barely enough for a pack of gum as now that it’s my source of livelihood. As ad earnings are heavily dependent on traffic, income for April took a nosedive as well. The almost 100, 000 drop in pageviews meant about $900 less from what March brought in. Again, if this was my first year of blogging, the major dip would have given me a major MI, especially now that I am now blogging full time and no longer have the cushion of my previous job. But since I’ve seen income vary from one month to the next these last three years, I realized blogging for a living does require better money management. I should learn how to squirrel away my nuts when they are plentiful, to tide me over during leaner times. As you can see, Amazon has, albeit minute, joined Kawaling Pinoy’s income streams. At sixty nine cents for the whole month, this affiliate program doesn’t seem to be worth the effort but, in fact, a good number of bloggers do make a healthy living from affiliate sales. I haven’t really worked Amazon to its full potential because, although it’s tempting to bombard you with affiliate links, I want to promote only products I really believe in, have personally tried, and can recommend in good conscience. Ten recipes! I am still quite away from my goal of posting recipes on a daily basis but better than the last couple of months. My favorite recipe for April was the Chicken binakol and judging from the number of social shares, you guys seem to like it just as much. We are drawing one (1) winner and for the giveaway prize, the winner will receive a $100 Visa Gift Card. If winner is outside of the U.S., $100 will be sent via Paypal. Please note that Kawaling Pinoy giveaways are wholly supported by me and I do not receive any compensation for the products I present as prizes. Giveaway ends 11 PM Pacific Time on Wednesday, June 29, 2016. The winner will be selected via Random.org. The winner will be notified via email and will be announced here on or after Friday, June 30, 2016. The winner must respond within 48 hours or an alternate winner will be selected. No purchase necessary to enter or win. Of course not! I enjoy reading your stories whether it’s about the recipe or little snippets of your life. Hi Lalaine! I am a married mom of two and I love cooking. 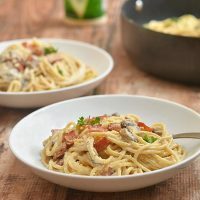 I am also a Filipina and whenever I need recipes, your blog is my go-to site. I enjoy your stories so much. It’s like I’ve known you in person. Every food has its story and your stories add up a little spice to your dishes. Please keep your stories coming. It’s my first time to go to your blog through your facebook page. I am not a good cook and most of the time I just serve the easiest and common Filipino dishes to my son. I like reading your blog because it seems easy to follow and you present the ingredients and foods that are familiar to me rather than going to popular food blogs that I can’t relate to because of their ingredients. 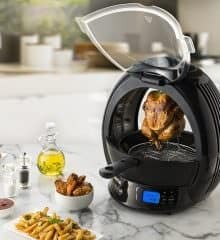 I wish I could win the prize so I can buy my own simple oven and hand mixer to start cooking “better” foods for me and my family. I enjoy your stories (and the recipes too). Thanks. Id rather read your stories coz im fascinating of your words..hehehe..I can imagine how you describe your day..your thoughts and feelings for every recipe you share..so please juz continue to inspire us.. we love what you’re doin! keep it up! Hi Lalaine! I came across your site when I was looking for a cheese cupcake recipe. It was an instant hit with my kids. Hence, I bake this almost every week. Your little stories are interesting and adds a personal touch to the recipe as well. Keep it going! I think that the stories are what makes your blog different than any other. I love the recipes of course, but the stories make the difference. I enjoy what I read. I am new here, so I subscribed. You have a lot of busy ads. I love to read stories, and knowing the stories behind the recipe is so amazing. Even we didn’t know you personally, those stories lets us know you. Every Recipes and stories you shared, gives us a piece of you Ms. Lalaine..
and We are very thankful. I really enjoy your talking about the stories behind the recipes you posted. It makes more reading the recipe enjoyable. Thanks! Hi Lalaine! I was making my grocery list and I stumbled upon your website. Oh my goodness. Your recipes look so good. I am not as good a cook as you, although I don’t get any complaints from my family. Haha. It is the weekend and I plan on cooking something special for them. 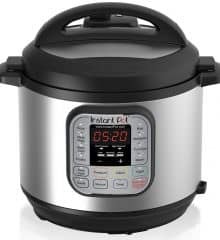 I am going to browse your site and choose a nice one pot meal. By the way, you wanted to know if you talk/write too much? Not at all. I love people who speak their mind. I am that way too! I am bookmarking your website and sharing it with my husband and kids so they can give me suggestions on what to make for them. Menu planning is a daunting task! Hahaha. More power to you and your blog. Mabuhay! I have just browsed the website when I am looking for a Filipino recipe to try on. Actually I am very fond of cooking and baking but I can’t do it all the time because I am working. I love to try new recipes/dishes and baked products. I really find your articles interesting so from now I will try to open the site even I am working here in the office.. (as my past time), whenever I am already exhausted to the monotony type of my work. And to qualify for the giveaway, I do not think you talk too much. I enjoy reading your stories before going to the recipes. Especially your story on your leche flan blog. It was kinda funny how you came up with your recipe of your own. Haha! Plus your own stories are inspiring. Hello, Ms. Lallaine! I recently found out about your website last year ( Nov 2015 ), I have recently moved to U.S. and was missing all our pinoy foods ever since. My first ever try of your recipe was the cheese cupcakes, and it was amazing! My husband ( who doesn’t like cheese on a cupcake ) LOVED them! I also tried your coconut macaroons, mini egg pies, leche flan, and today I am gonna try your maja blanca espesyal. Hope it will be a success! Thank you so much for your website as it is really helpful for me especially being away from home. More power! I just love the way you present things here. Been following a lot of recipe blogs of that sorts, but yours is different. Your recipes are easy to follow, yet well presented. And your stories add a little to that “homey” feel. Thousands are already following you. Keep it up and cheers to more recipes! Am newly retired. Hated kitchen. Stumbled on Kawaling Pinoy with free recipes. Just made Cheese Puto. Oh boy! Am hooked. No way! I do not think you talk/type too much and I like your little stories beforehand. Keep up the good work! No, you don’t talk too much, i enjoy every article of food you posted on your blog and i love re-reading them again just to make sure i follow the steps. keep cooking and motivate us all your reader Ms Lalaine! Your doing great!! Your stories are interesting and your recipes are worth trying and sharing. Keep it up. May the Lord bless the work of your hands. I think there’s nothing wrong sharing your ideas about blogging.. It really helps especially those who are pursuing their blogging career. Keep it up Ms. Lalaine! i love reading peoples posts..the more talking the better for me. I think its great to get to know someone through their writing. Thank you for sharing these income reports and your blogging journey. Your advice about just DO IT is really important!! The regret many people have in life is they never took the leap of faith to grab the opportunity to do something they really wanted to do. Then when they realize it, it’s already too late or the opportunity is gone. Hi, Lalaine! No, I don’t feel like you talk too much. I appreciate the story entwined in each recipe. I like knowing how each recipe came up and how they were modified over the years. I hope to read more of these in the coming days. Thanks for this great post. I always find income reports very fascinating and motivating especially since I am a blogger myself. Reading bloggers income reports is fascinating to me lol I’ve been blogging for a few years but never really thought of making money until recently. My page views are nowhere close. Thank you for sharing your success. It is encouraging for some of us newer bloggers. Great giveaway idea. Wow, I’m still wishing to get that stats. Where are most of your traffic from? Please share some tips on how to increase traffic. I’m struggling – I’m based in South Africa. I enjoy reading your stories first before going to the recipe. It interests me how you made yourself into one successful blogger and at the same time a good cook. Can’t get enough of your recipes and looking forward for more in the future! Congratz on all the success and thank you for the awesome giveaway. I love the honesty of your income report, and I’m so glad you aren’t panicking about the drop of views. I’m sure it’s a humbling experience. It seems like overall, you are still doing a great job. Congratulations, on all your success so far! I like all stories and recipes. More recipes if I have to choose. you’re doing a fab job! As a full time mom and freelancer. I get to enjoy every post you make. Especially your every month update on about your site, seo, earnings, expenses and many more. I prefer blogs to have different topic about life. Everyone deserves to have a break. Youd never know what is in store for you. Stay the same keep up the good work in writing skills you had. It is good to see with hard it pays. I am a new blogger and I enjoy seeing success stories that it does work. Thank you for the inspiration! You deserved the good things that are coming to you. Blogging is not an easy job, especially when you are starting. By the way, I love the giveaway! Wow, very impressive. I like seeing Pinoy bloggers who make a big difference in the industry. BTW, I love your recipes! Wow, blog income reports are so interesting. Makes you aware of how far you’ve come. Kudos to you. I enjoy your posts. That’s awesome, it’s really rewarding when you’ve worked so hard for your blog and you see results such as this. I hope your success continues! This is amazing. 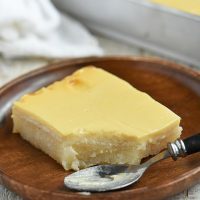 Maikling kuwento sa bawat recipe nakakpagbigay ng ngiti. Maraming salamat sa naidudulot na kasiyahan ng isip at sarap ng pagkain sa mga recipe na ibinabahagi mo sa amin. I always enjoy reading stories and interesting information along with a recipe. It helps to make it real and know that you care about what you are doing. Wow you’re killing it. I’d quit my job too if I made that kind of income. Thanks for the giveaway, Id like to be entered. Just went through some of your recipes and got so many meal ideas, so thanks for that! Congrats on your blogging success, I hope to one day have page views like yours haha. You make a lot from Blogher as well, good work! anyone can “go straight to the recipes”. not everyone can do what you do. never stop being you! Thank you so much for sharing your stats and income. It’s very impressive. I’m new to blogging, so my numbers are not that high, however, I do understand the feeling of when the views drop. It’s annoying and frustrating. Thank you for sharing, I’m fascinated on these blog reports! Good luck in the coming months! I love your stories! Loved seeing your report! It’s great for new bloggers to see what they can do and be empowered by stories like yours! No you do not talk too much, I like reading the stories before getting to the recipe. Wow! Those are some impressive stats! I’ve actually never seen an income report so thank you so much for sharing yours. Hope to be as successful as you one day! I love to read your stories and then gett o the recipes!! I like getting to know people! The recipes you posted are excellent especially for someone like me whose passion is to give the best cooked food to my customers who ppatronize our small eatery. I hope you continue this. I love seeing other bloggers income reports. While I am not even close to those numbers, it is really inspiring to see what you have accomplished. And that income is nothing to sneeze at! Thank you for sharing with us. Really impressive results especially considering that is a slow month for you. I’m just getting back to blogging and can only hope to one day have that level of success. I was excited with 400 pageviews last Sunday. Your stories make it a complete treat. Recipes undoubtedly are great but little stories make those even special. Please keep it that way… Lots of love! Congratulations on having such a successful blog! I’ve only just started reading your blog posts, and look forward to more. Great giveaway, by the way! Hi! I’m a new reader to your site, but absolutely loved this post … I’m obsessed with reading bloggers’ income reports – thank you for being so open and for sharing your experience. 🙂 I’m not a part of Blogher but am very curious about it now after seeing how well it seems to work for you! I’ll have to check it out. Wow! I am in awe at how blogging has become such a big thing! I love the recipes but I think what is fascinating are the statistics showing your monthly stats. That really is fantastic keep up the good work! I love your recipes. I had had a cup of chicken soup with coconut milk in it at the World’s Fair in Knoxville in the early 80’s. You posted a recipe similar to that. I can not wait to try your recipe. I am new following your posts. I love reading the stories behind each recipe, especially when you give the summary on how you did it. They’re a big help when we try out the recipe! Besides, if I was only looking for a recipe, I could search a recipe site or just scroll down to it. if people are here, they want more than just some ingredients and a method! It inspires me to keep cooking and learning in the kitchen. I absolutely love your stories, it really nice and i want to read more; the words is amazing and i like all posts from your blog and recipes. Hi thanks for the generous giveaway and letting me enter and have a chance to win something since I had nothing for my birthday in may. Well I don’t think you talk to much I talk much more. I love talking its therapy to me and relaxes me and I share your love for writing such a great stress reliever to me and lovely to put your thoughts on paper and share with the ones you care about in life. Well I share your passion for recipes I almost everyday on the internet researching recipes and I love cooking and baking. Will try your prawn recipe maybe when I start working again. Well I can’t do it now as I only work part time and short on cash but love prawns so definitely will try I love tempura prawns and egg rice so will try your recipe one day in the future! Thanks again for being so generous its just one of the most fulfilling things to do in life is to give when one fortunate to have and oh I can’t hide it I love to win something once in while so maybe I do win this. Everything of the very best in the future to you and your family! Goodluck everyone!!!!!! Your stories are great and complement your recipes perfectly. I think engaging in dialog with your readers is what will set aside yours from the others. Your site seems to constantly load, and its hard to navigate around with it freezing so often.. not sure if there is something you could do about that? I love the recipes they are simple and easy to follow and supported with nice pictures. The stories are just right, something your readers can very well relate and helps us as if we were also there seeing how the story transpired. I believe stories is you thing. You are great as you are! That’s why you have us as your readers. There are so many recipes around but stories + recipes? This makes your blog stand out! I like your stories and long and good posts, but moving through the site is slow. No I like what you do now:) Its perfectly fine! Your site loads too slow. I love your recipies and as well as stories which are great way to connect to people. I appreciate your openness and transparency when it comes to your site. Personally, I applaud you for this. Keep it up. Oh, love the contests! Love everything you’re doing. 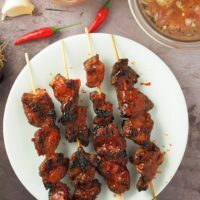 You’re my first go to for Filipino recipes! You sound like a lovely person. Best of luck! Personal stories always make posts more fun to read so don’t change that about them! I love how you reach out to your readers, keep the stories coming as well as the delicious recipes. More power to Kawaling Pinoy! I love reading your posts! I never skip them, even if I’m short on time. Your posts are always a highlight of my day. Yes I do read your blog since I’m an aspiring chef :). Thou I’m a Finance analyst but cooking seems to be my stress buster. I do like the way you make a bit of a twist on the filipino foods you served. Thanks so much for sharing your recipe with all of your followers. Happy cooking !!!!! I like reading your blogs as well as trying out your recipes. I even started selling within the office and close friends… “kumikitang pangkabuhayan”. 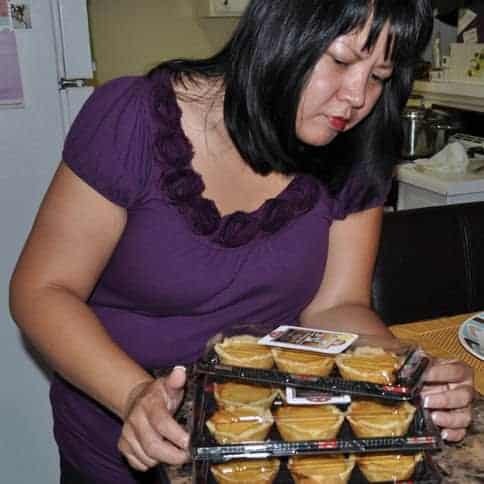 Thank you Lalaine and please don’t get tired out sharing your recipes. Love love love your stories! That’s one way of connecting with your subscribers too. I love reading the stories behind each recipe, especially when you give the summary on how you did it. They’re a big help when we try out the recipe. A big plus is your sense of humor. In short, What you’re doing is fine with me. Keep it up & more power Lalaine! It’s just today that I discover your blog. As I am searching for a pork chop recipe with a twist. I’ve found your salt and pepper pork chop, Am so excited to try it for dinner on friday as my hubby is coming home from work. (he comes home on a weekly basis). I like your blog that I can relate to some of your stories.I. Like your being madaldal it entertains me. I am looking forward to try more of your recipes, it excites me to try new recipes and receive an ohh-la-la and thumbs up from my hubby. Sometimes! But it’s okaaaay. Because that is how you entertain people! And I love your recipes so much! My mom is so proud of me! Thanks to youuuu! :))) More recipes to come! Godbless. Hi Lalaine, Your chicken pastel recipe is awesome, my husband loved it! I am a new subscriber of your blog and I have to say you’ve inspired me to pursue my dream to start my own blog and maybe one day it can be a source of income for me too! Looking forward to more recipes and stories from you! every time you tell all your stories and i just cant stop reading it because o guess every Filipino can relate to all your stories. I don’t think that you talk or write too much. I enjoy the stories as well as the recipes. You talked too little for a voracious reader like me😊 I don’t like to subscribe to any websites because I don’t like receiving spams however I always find myself visiting your website almost everyday😉 Receiving the ebook sealed the deal! I love your recipes and how you are sharing your stories. Keep it up and more power!!! This is my favorites pinoy food blog so far. It’s actually straight to the point with a little pizzaz. Yes, a little bit sometimes, but that’s what makes your blog more interesting and enjoyable. It’s what sets it apart from the rest. And to be honest, I come here not just for your wonderful recipes but for your stories as well. So keep em’ coming. I love to cook and I love to read so everything here is just perfect for me. Sometimes I’m so “bitin” pa nga sa mga stories mo eh. Good food, or recipes for that matter, and a good read. Can’t ask for more. Anyway, keep it up and more power! I like reading your short stories 🙂 it personifies the writer behind the recipes. Your conversational way of writing also makes me feel that I am reading a letter from a friend, which is also one of the reasons why I like your blog very much. I just love everything in your blog. its your recipes who push me to learn cooking as well. My hubby is surprised i now learn to cook different dishes & desserts.. Thank you so much! Keep going! I love reading your little stories! It makes me as a reader feel a connection with you and I greatly enjoying seeing what you write! If you didn’t chat every once in a while, it would feel like a robot ran the blog, not a real person! Love what you do and love what you create! Hi Ms Lalaine, I don’t think you talk too much. The little stories you share as a way of introducing your recipe to your audience is a good way to reach “us”. Personally, this was the very reason I subscribed to your page (about 3 months already). 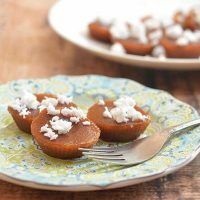 I appreciate it when bloggers like you share anecdotes, stories, commentaries behind a recipe because it makes me feel welcome and accepted in your world . It makes the recipe exciting to cook, having that idea or thought that maybe I can also have good memories to tie it with. Lastly, it has become somewhat a “teleserye” for me, too, that I would always look forward what will be the next featured recipe and tale behind it. Cheers to your endeavor! Hi, I’m a new mom and new in the kitchen as well. I love your stories behind the recipe being featured. Your recipes are easy to follow and whats most important is the ingredients are easily accessible. Looking forward to more recipes from your site. As usual I love your site. you did a great job in all your cooking and baking adventures. The macaroons are very tasty and moist. For me, since in my childhood days I was assigned as a family cook, and I think I have an extra little talent in both cooking and baking which I am very passionately into it. I am teaching both cooking and baking in the city where I reside and every single day I love to post my expertise and share it to others as well. I have lots of my own distinct food and hand crafted creations and I always do revisions from all aspect in the ventures in culinary. Your website is a part of my inspiration as a home -cook novice and of course I am a fan of your blog. I would like to share with you and have a little glance in my simple website in the FB. Laarni Mary and also Laarni’s Kitchen and Food Creations. no, you don’t talk/write too much! i like reading about the food and the stories behind them. keep the format the way it is and look forward to reading more. Thank you for sharing your blog income. I highly suggest to promote Amazon link to your site. I use it a lot and spend thousands of dollars every year. Many of my friends do the same. Amazon may generate lots of income for you. By the way, I don’t work for Amazon. Keep up the good work! Best wishes from New England, USA! Keep doing what you are doing! I love the number of posts and the way they are structured! I’m so happy I have come across this site. I recently moved from the east coast to the west (away from my Nanay) and have to make my own Filipino food. This has been a very useful site and I love reading your stories! I’ve always love to try new recipes for my family and they love it. I tried the chicken sotanghon soup and we love it, yummy. 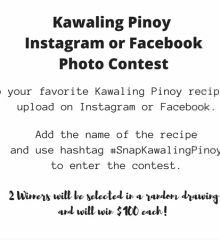 Thanks for posting recipes here in kawaling pinoy. I love reading your stories so you definitely don’t talk too much. Also, your success inspires me and I’m sure I’m not alone. Anyone that wants to get straight to the recipe can certainly scroll down but they’d be missing out. Thanks for sharing, Lalaine! Hi Lalaine, I do enjoy the little stories you shares as well as the recipes. It is ok if you share your little story before going to the recipe it add little excitement and it is amusing. And sometimes it imparts us some knowledge. I love your writing and stories! Don’t ever shorten up your posts because you feel like rambling. They are very entertaining. I like reading your experiences when you are cooking. It is a nice reminder that you are human like us and not this professional chef snob. Hehe! You have a good sense of humor! I love reading your little stories that come along with the recipes, I think it adds more flavor to the blog piece! i love reading your little stories..i learn a lot from reading real life stories and experiences..it inspires me, lifts up my spririt and ignites my passion for something that i love to do which is cooking..
Love reading your interesting stories. Keep them coming. I just discovered your blog last month and I’m so happy that you do share your blogging experience and income. Are those all from ads? Anyway, I love Filipino recipes and yes, I go straight to the recipes except for the start of the month. No, I believe it’s still better that you have the “intro” first before going into the recipes. Your writing is actually what made this blog different from othe blogs that offers recipes too since you provide interesting “intros”. I enjoy reading and thanks for sharing your stories. You are an inspiration! And love all the recipes. For me, honestly you don’t talk too much during your blog posts. I believe that every food/ recipes has their own story. And your stories are very interesting. Just keep Up the good work ms Lalaine, May God bless you! I rately subscribe to blogs but i found yours to be very well-written, well-thought out and enjoyable. I knew of you first through your flan recipe where you spoke very candidly about it very personal story. I enjoyed both the sumptuous flan and the drama equally. Since then I’ve been hooked. Way to go and more power and I look forward to your many many more creative and mouthwatering recipes. I really enjoy the recipes and information as well as the lighthearted articles. I am really enjoying the authenticity of Filipino Cuisine. Hi Lalaine! As a fellow Filipina (in Michigan, though 🙂 ), I am lovin’ your website. I think your stories are what make your website unique – and how they tie into your cooking. Also, thank you for this post – I think a lot of us go into “analysis paralysis” just trying to get everything right out of the gate when it comes to blogging. It’s so true you have to just DO IT! It’ll all come together in time! will you post more Kapampangan recipes, please. Thank you for sharing your stories and all the recipes to us. God Bless.